The Law and Public Officials on Social Media: Blocking Beware? We live in an in ever-increasing era in which the internet intersects with politics. The 2016 Presidential campaign was dominated by Facebook posts, clickbait, internet-driven funding campaigns, “fake news”, and major politicians using Twitter and Facebook to get their messages out. A foreseeable result of this has been politicians wanting to control their message by determining whom may have access to their sites. One June 13 the Washington Post reported that author Stephen King had been blocked on Twitter by @realdonaldtrump, the Twitter account Donald Trump uses regularly instead of the official @POTUS account. Did this action violate the First Amendment? Sometimes individual politicians or private political organizations have their own independent social media presence. Depending upon how they are set up, these may not be considered government forums, even though public officials are using them. Individual politicians who set up their own Facebook pages or Twitter accounts, without governmental sponsorship or funding, are probably not subject to the limitations discussed here. Donald Trump clearly is a businessman with his own private affairs and interests outside the office as President. He will likely insist he has his name and image to protect and will do all within his power to do so. This presents a new area of the law that needs researched. 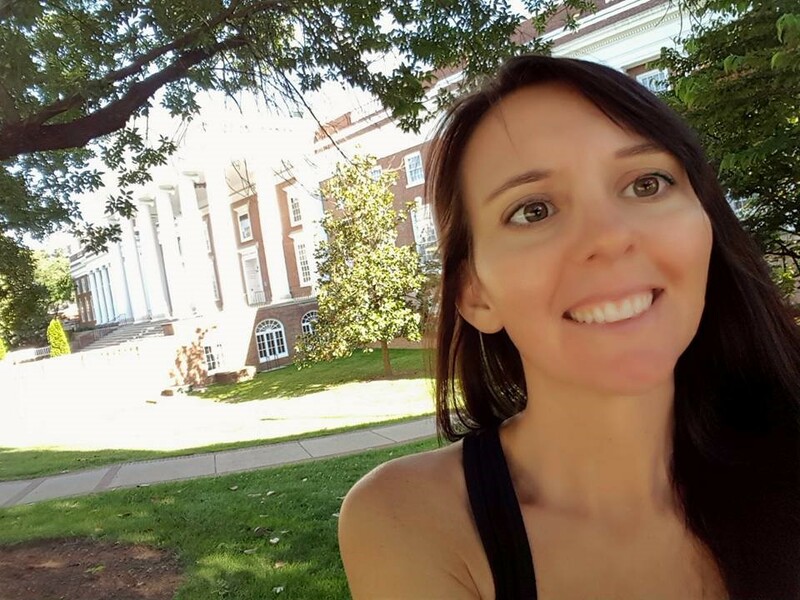 Mari Cheney, Blocked on Twitter…By the President – AALL Computing Services SIS, http://blog.cssis.org/2017/06/19/blocked-on-twitter-by-the-president/ (last visited Jun 19, 2017). Timothy B. Lee, Users threatened to sue Trump for blocking them on Twitter. Experts say it’s a long shot. Vox (2017), https://www.vox.com/new-money/2017/6/8/15758408/trump-twitter-blocking-lawsuit (last visited Jun 19, 2017). Charles Ornstein, Trump Isn’t the Only Politician Blocking Constituents on Twitter, Slate, 2017 (last visited Jun 19, 2017). 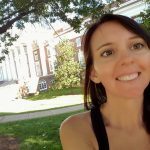 I wasn’t even in the door of the old stone Alderman Library on the University of Virginia (UVA) grounds when I heard three clever Harry Potter references. These were my people- book nerds. I was among twenty fellows who received the Institute of Museum and Library Services, Rare Book School (IMLS-RBS) Fellowship. This fellowship is designed to provide professional development education opportunities to early career special collections librarians, with a special emphasis on recruiting those that are currently underrepresented in the field. 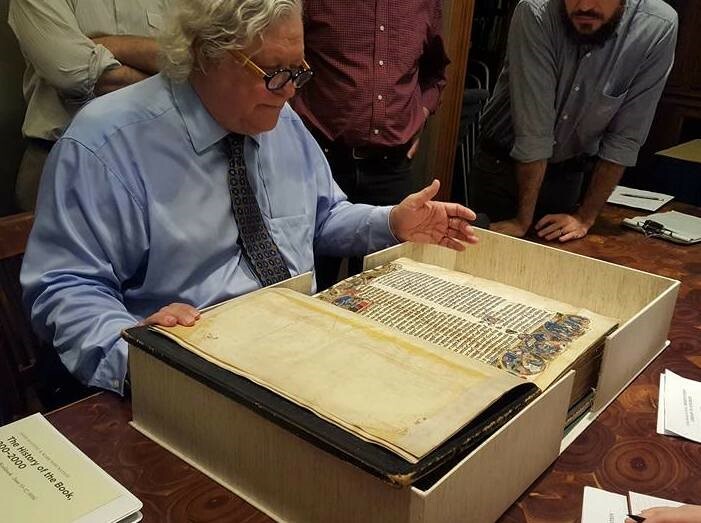 Funding included travel costs and tuition for the History of the Book 200-2000 course at UVA, as well as for the annual conference of Rare Books and Manuscripts Section (RBMS) of the Association of College and Research Libraries at the Biltmore in Florida (the course and conference took place from June 9-24, 2016). RBS offers over 60 courses in various locations throughout the US, but their home base is UVA. RBS Director Michael F. Suarez gave an inspiring introductory lecture, encourages us to look and see the books, and not to just take pictures in an attempt to possess them. Good advice for anyone in this age of over documentation to stop and enjoy the moment. light and the few phrases I could make out referred to torture, the devil and hell. This strange and dramatic introduction to RBS demonstrated in a very visceral way the difficult conditions in which medieval scribes created their exquisite works. Most scribes had to work on farms during the day and could only do this work at night with a minimum of illumination. This introduction was indicative of the enthralling teaching style of my two professors who led us through 1800 fascinating years of the history of the book. The course was taught by Dr. John Buchtel and Mark Dimunation. 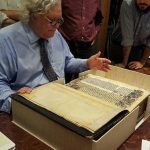 Dr. Buchtel is the Head of Special Collections at Georgetown University and has worked as the curator of rare books at the Sheridan Libraries at John Hopkins University. Mark Dimunation has been the Chief of the Rare Book and Special Collections Division of the Library of Congress in Washington D.C. since 1998. Both professors are eccentric geniuses, gifted with a peculiar and fascinating sense of humor. The course began with cuneiform tablets and covered the past 1800 years of book production. As part of the class we visited the Library of Congress Rare Book Collection where Mark Dimunation is “The Chief.” I hope you are all as sufficiently impressed by this fact as I am. I took a class from THE CHIEF! We were taken to the special collections room where the most amazing moments of our experience took place. 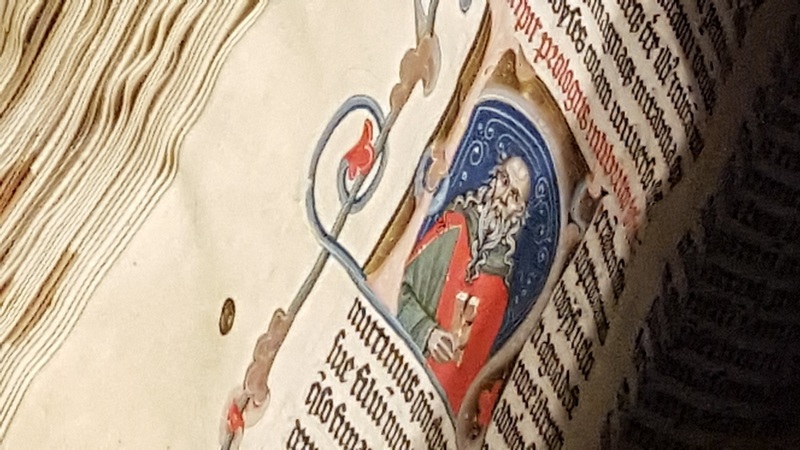 The class got to see and touch illuminated manuscripts that were ancient but glowed as if they were just created. We saw an impossibly miniature book of hours covered with embroidered fabric and encrusted with pearls. The most electric moment took place when a very plain book bound in vellum was produced. It was a scientific book with Marginalia (hand written notes), smudgy fingerprints and dog-eared pages. We were astonished to learn this was Galileo’s book. Not just written by Galileo, but a book written, printed and doodled in by Galileo. The smudgy fingerprints were made by him as this copy came off the printing press he was using. He noticed a mistake in this copy so he used it for his own personal reference and corrected the mistake for future printings. (Book nerds and book collectors everywhere are now feeling a bit lightheaded as all these details, known as provenance, increase the value). Holding this book was an unforgettable thrill. another St. Olaf alum, treated us to a strange rendition of their school song. If you haven’t heard this hilarious ditty, I recommend you Google it immediately. As a class we were frequently and horrifically required to sing “Hypnerotomachia Poliphili” (an early example of printing) but at least I won’t forget the title of this important tome. Did you know that many expressions that we use today started with the printing press? “Mind your p’s and q’s,” means to pay attention, because each letter was an individual metal mold, apprentices had to be careful to put the letters back in the right place, to avoid mixing them up. The capital letters were kept in the top portion of the case (upper case) and the regular letters were kept in the bottom portion of the case (lower case). There were opportunities to practice printing our own almanacs on UVA’s replica printing press. We saw some of the vocabulary we had been learning in the flesh, words like; beaters, bite, bosses, fetishes, type height and pied type. So what is it like to attend Rare Book School? For the book nerds it is about as close as you are ever going to get to the Hogwarts library. 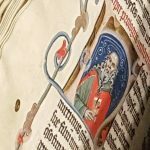 It was the experience of a lifetime and I gained the knowledge and vocabulary needed to work with others researching rare books. I can share the experience with my community and help people appreciate and value special collections. It was informative, inspiring and oh, yes, it was the best “summer camp” ever, if you are a book nerd.